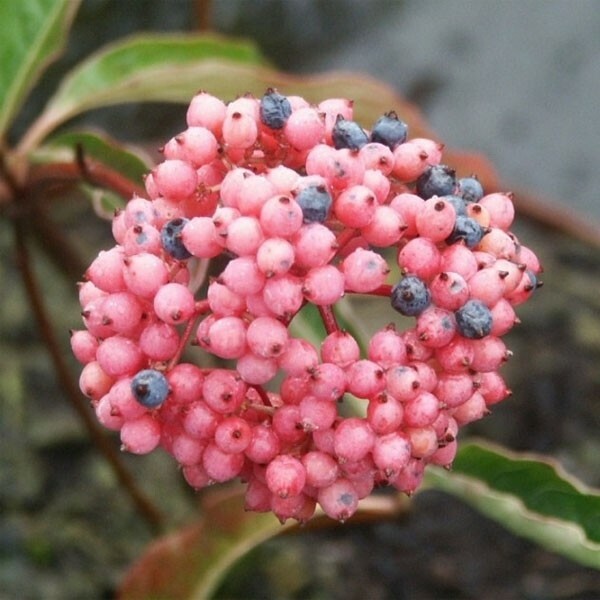 This selected variety of a native of eastern USA is something quite special. 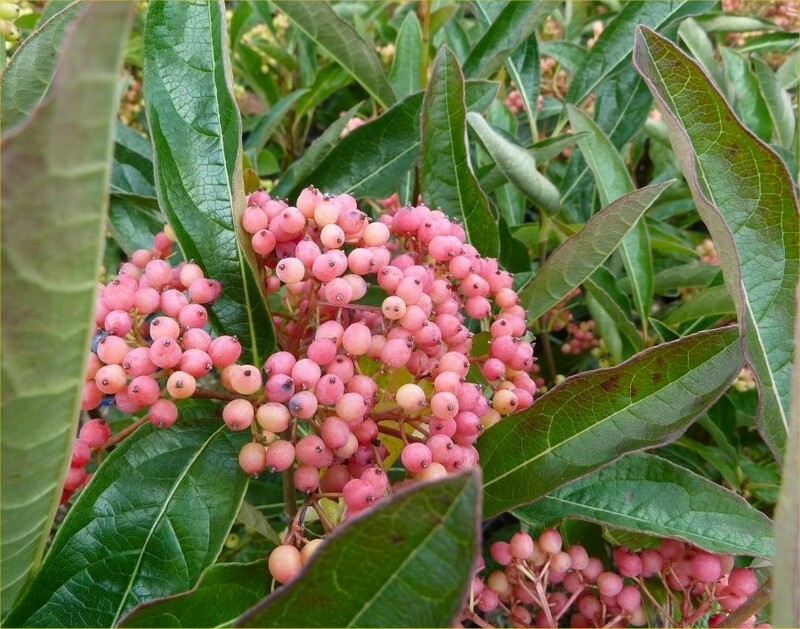 Although the rich green summer foliage, topped by bunches of white flowers is very handsome, it is the berries that it is grown for. 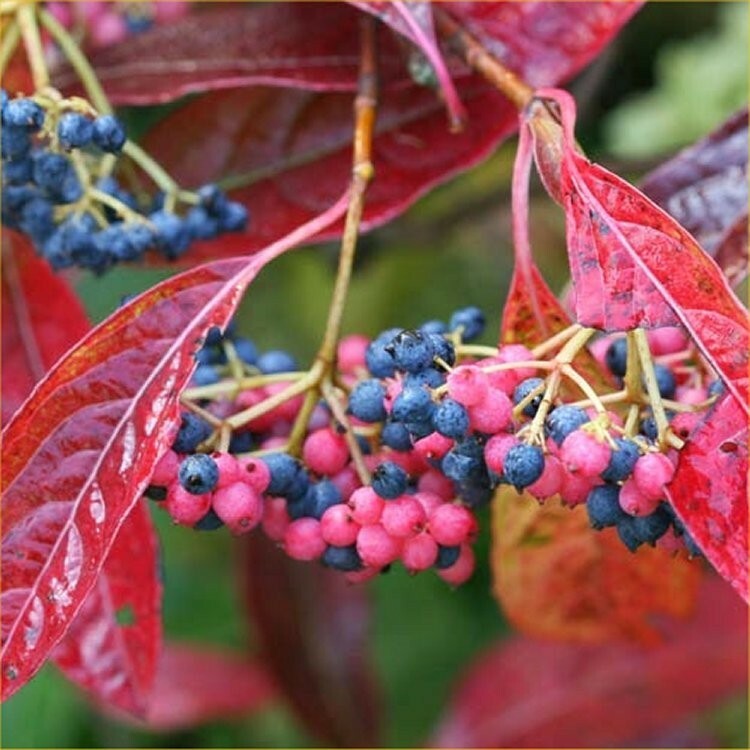 From late September, as they ripen, they progress through a series of colour changes; green to white, then blushing pink, and finally blue to bluish black giving a kaleidoscopic effect with lots of berries at different stages of colour. 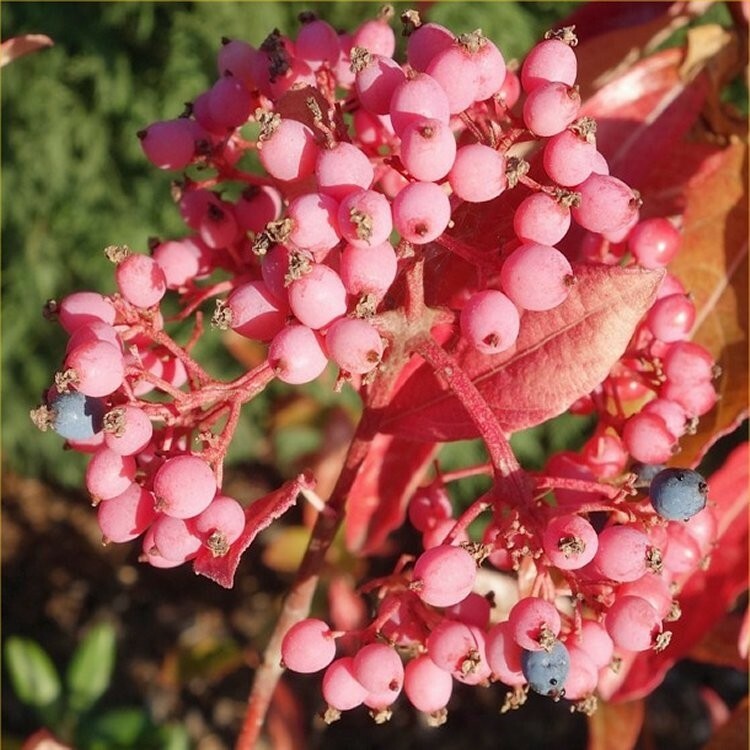 To top it off, all those berries are spectacularly displayed against handsome reddish-purple autumn foliage. 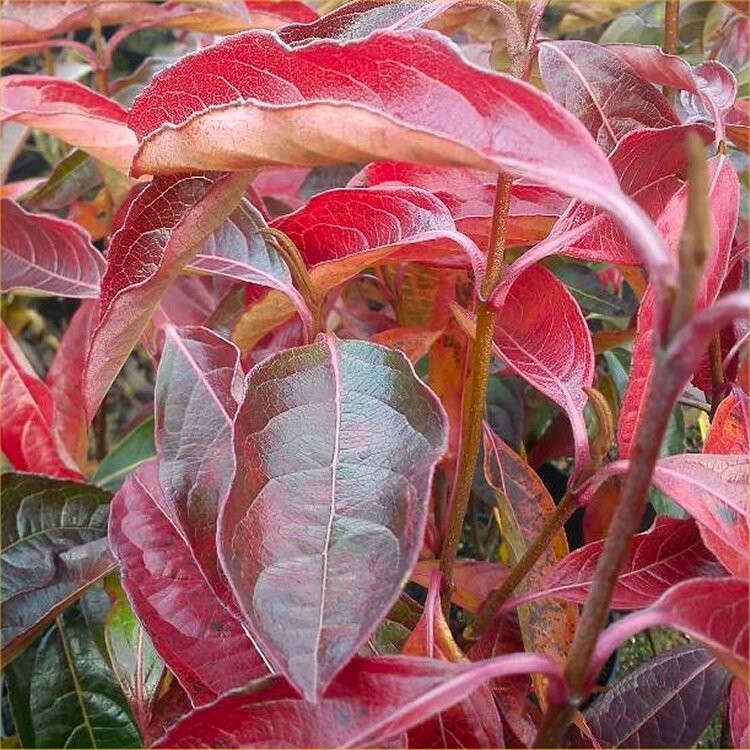 A very easy to grow and rewarding shrub. Supplied in 5 litre containers.